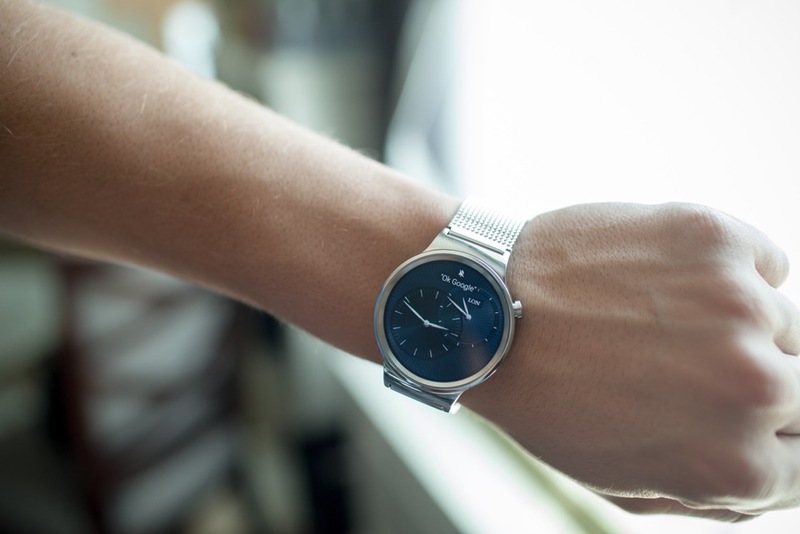 First teased at MWC earlier this year, the Huawei Watch has finally landed in the US. During those months of waiting, Huawei was reportedly tweaking the device to no end, making sure it would be the perfect Android Wear smartwatch, capable of lasting buyers for years to come. With such a premium design and build, the device also comes with quite the premium price tag. Starting at $349 for the base model, it is one of the most expensive Android Wear devices available, so we wanted to make sure to review it in depth to give you our opinion before you go dropping a few hundred dollars for it. 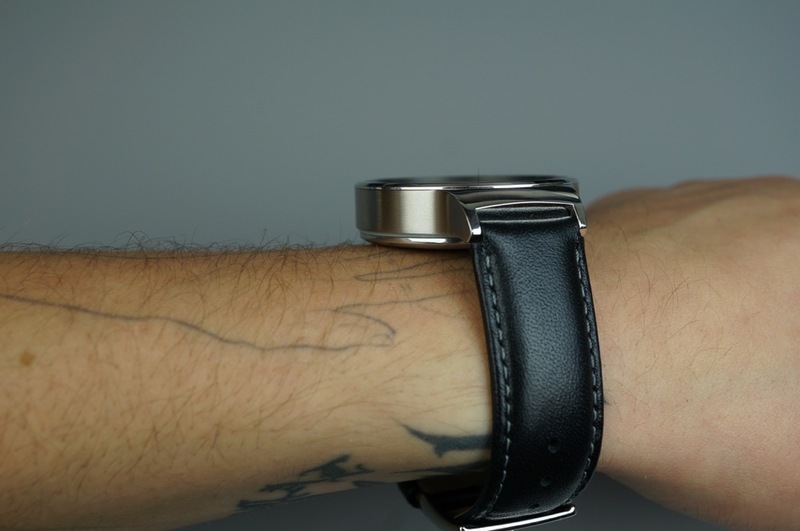 This is our Huawei Watch review. 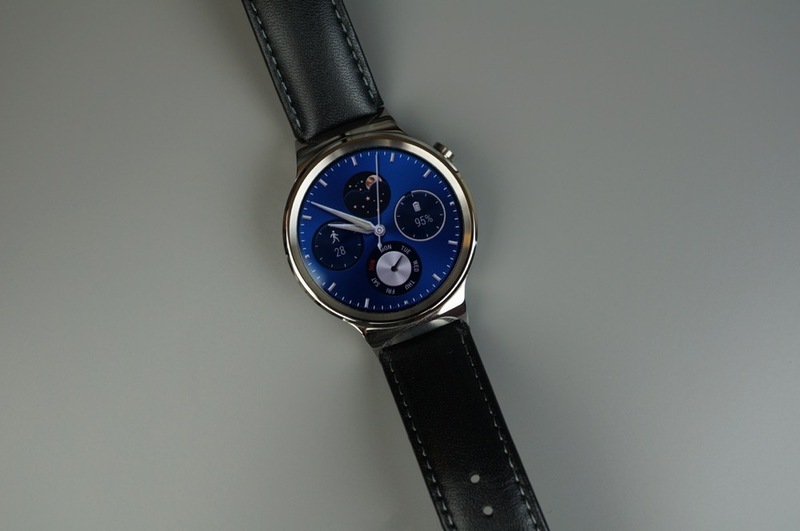 In terms of design, I hold the Huawei Watch in high regard, as I appreciate the more classic timepiece look. I have never been a fan of sports watches or squared faces. 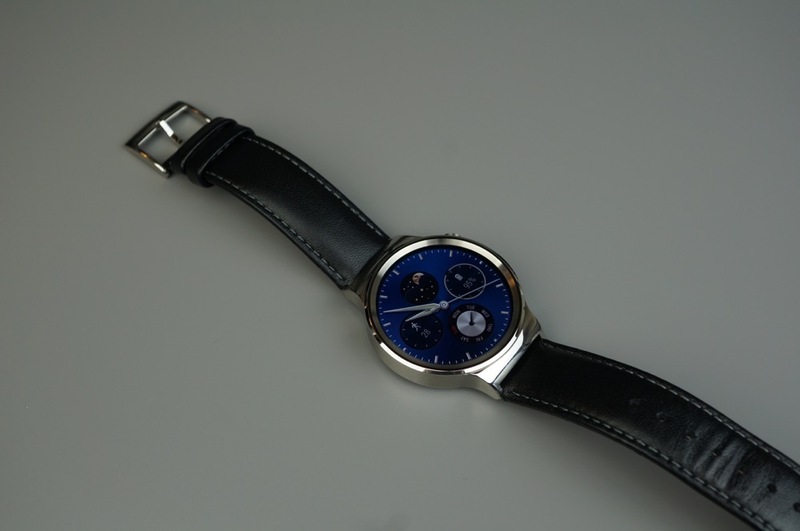 To me, the Huawei Watch, in all of its various renditions, is beautiful. 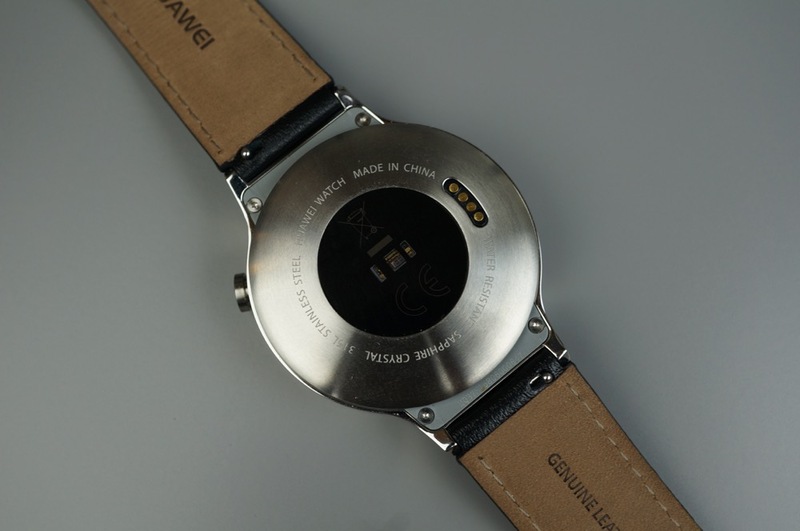 Sparing no expense in materials used, Huawei crafted a modern, sophisticated timepiece, but also gave owners the ability to personalize it as they see fit, thanks to changeable 18mm standard bands. The overall design is simple, allowing the 1.4″, completely round AMOLED display to do the talking for you. 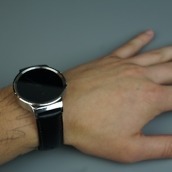 The power button is in the 2 o’clock position, so as not to rub into your wrist when bent. This was a small, yet pleasant touch. And while the device does feature lugs, they are not very prominent in the watch design’s profile. 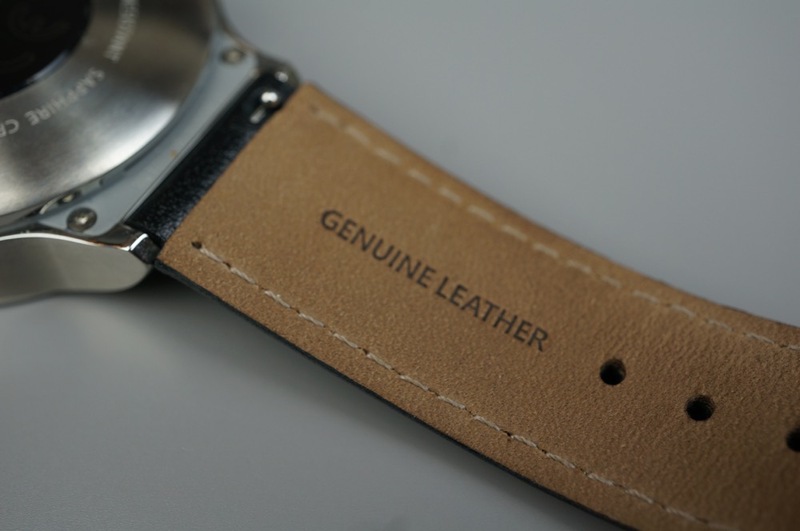 We were given the Stainless Steel and Black Leather model to review, and personally, it does not go with my overall style. It would definitely look better on someone who rocks a suit to work. For me, I would go with the Stainless Mesh option, or maybe even the Gold model (available later this year). Regardless of which model you like, the design is sure to grab anyone’s attention in a good way. Nothing about it screams gaudy or tasteless. 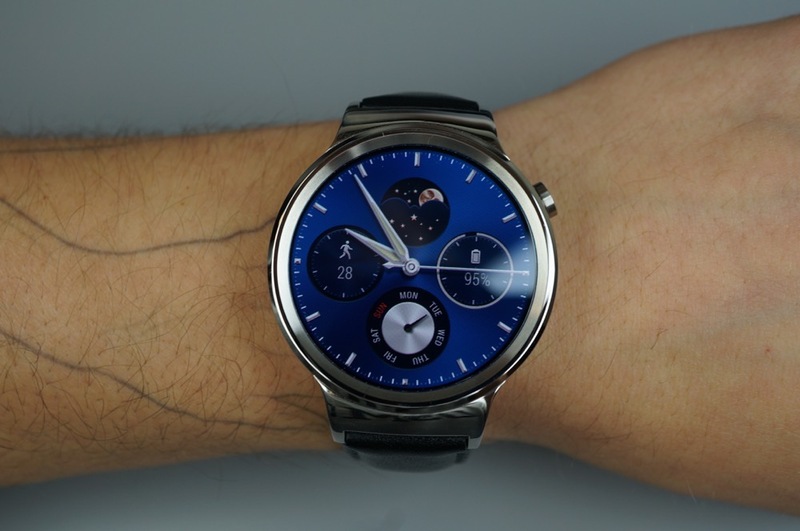 Without a doubt, the Huawei Watch and Moto 360 (2nd Gen) are the best looking Android Wear devices of the year. For additional photos, check out our gallery from Huawei’s press event for the device. The Huawei Watch packs great specs, as Huawei stated early on that they want this device to be usable for years to come. Inside, the smartwatch is powered by a Snapdragon 400 processor with 512MB of RAM. In addition, the watch features a 1.4″ full circle AMOLED display (400×400, 286ppi), giving it one of the highest resolutions of any smartwatch currently available for purchase. Other specs include 4GB of storage, Bluetooth 4.1, WiFi connectivity, heart rate monitor, built-in microphone, and 300mAh battery. It should also be noted that this Android Wear watch works with iOS, too. For the price, the specs are good, but to help with future proofing, it might have been nice to see at least 768MB or 1GB of RAM thrown in, or even a newer processor. 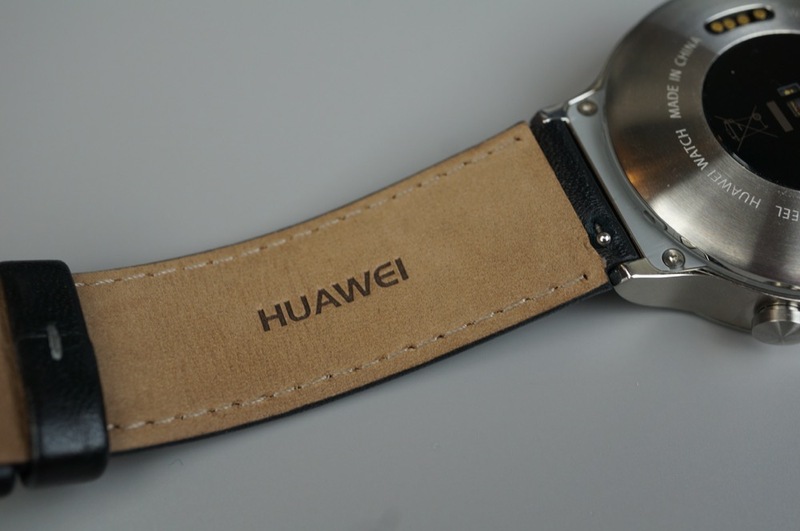 The Gold model of the Huawei Watch, not yet available, will cost $799 at launch. For that price, I would hope for at least a few years of smooth sailing, but with just 512MB and a processor that is already at least a year old, who knows exactly how long this device can keep up with OS updates. In terms of battery life, I was pleasantly surprised with how much usage I was able to pull from a 300mAh battery. On paper, it’s a pretty small battery, but Huawei stated at launch that users should expect to see anywhere from 1 to 2 days of charge with normal usage, and that’s what I got each day I put it on. To begin, I used the always-on mode, finding myself needing to plug in the device the following morning. The timing of that was not so good, so I would place the device on its charger each night, with it ready to go in the morning. When I turned off the always-on mode, I was seeing a solid day and a half to two days of usage no problem, getting it to the charger the night of the second day. During this time, I was using the watch’s built-in heart rate monitor, testing apps on it, and basically just playing with it as I normally would. Having spent little time with any other Android Wear smartwatch, the only comparison I can make is to the Moto 360 (1st Gen) and the Huawei Watch was blowing that watch out of the water with the battery I was seeing. I think it’s safe to say that this next wave of Android Wear devices feature great battery, which is one less thing for all of us to worry about. Again, Huawei stated early on that with the high price of the Huawei Watch, they wanted to make sure it wouldn’t crap out after a year or two. They built this device to last. Out of the box, the OS is buttery smooth, much like Kellen saw on the Moto 360 (2nd Gen). In fact, the two should behave almost exactly alike, as they feature the same processor and amount of RAM. 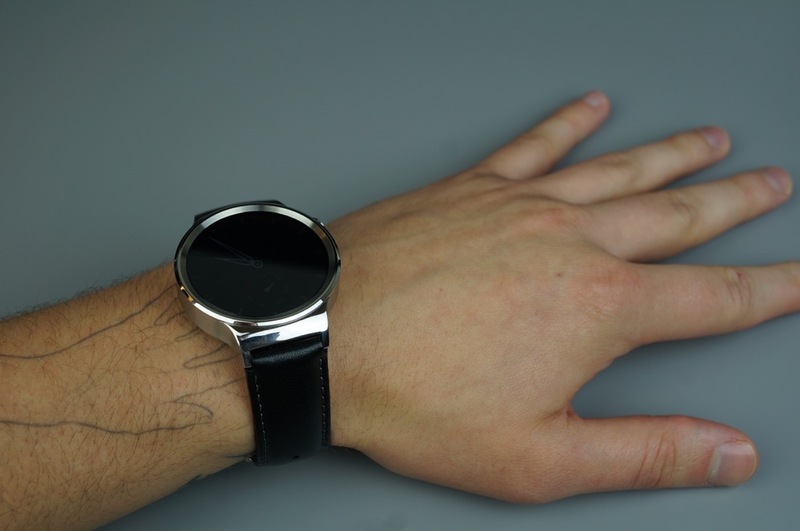 Since OEMs don’t put custom skins on top of Android Wear (yet) you are left with whatever Google gives you. As of now with Android Wear 1.3, it’s pretty great. The device never seems to overheat or lag, leading to a smooth, non-frustrating experience. 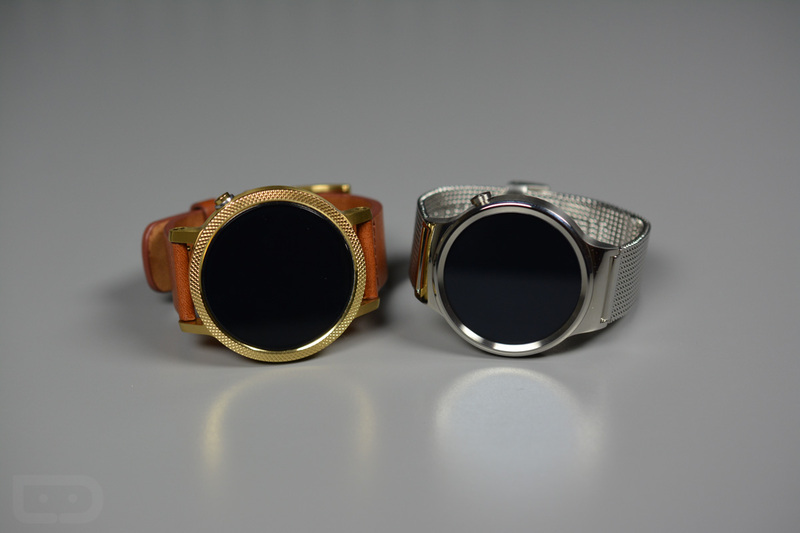 When I think back to how janky the Moto 360 (1st Gen) had become after a few updates, the difference is night and day. Android Wear 1.3 is easily the best rendition of the wearable OS to date, and I think it will only get better. The OS has become much more feature rich and user friendly, as diving into apps and the settings menu has become much less of a struggle. Quick access to notification toggles is available by swiping down, and the ability to jack up the brightness to the max while you are outside in the sun is always handy for viewing the display. Overall, I have become more fond of Android Wear, especially when performance of it picks up, thanks to updated hardware in these smartwatch devices. 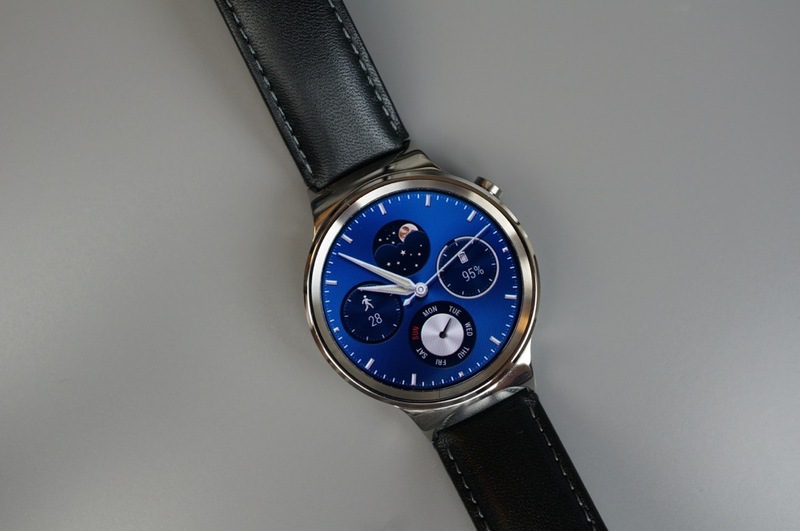 For a look at the Huawei Watch’s software, check out our software tour video below. The price and value of the Huawei Watch is the sticking point where many people may find themselves trying to determine whether or not to purchase. Is any smartwatch worth $350+? It’s basically just an extension of the smartphone and doesn’t really bring an extraordinary amount of worthy features, right? Well, what determines value is set by the buyer themselves, so I can’t answer that for you, but in my opinion, the Huawei Watch, much like the Apple Watch, is priced just a little too high. 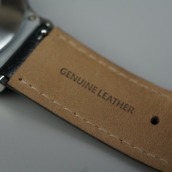 The base model, the one we reviewed, starts at $349, featuring black leather and stainless steel. 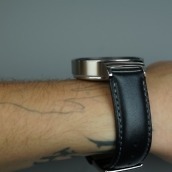 For an all stainless steel body and band, the price is an extra $50, bringing the total to $399. The same $399 price is listed for the stainless steel with steel mesh band, too. For $449, you can purchase the all black stainless steel model. 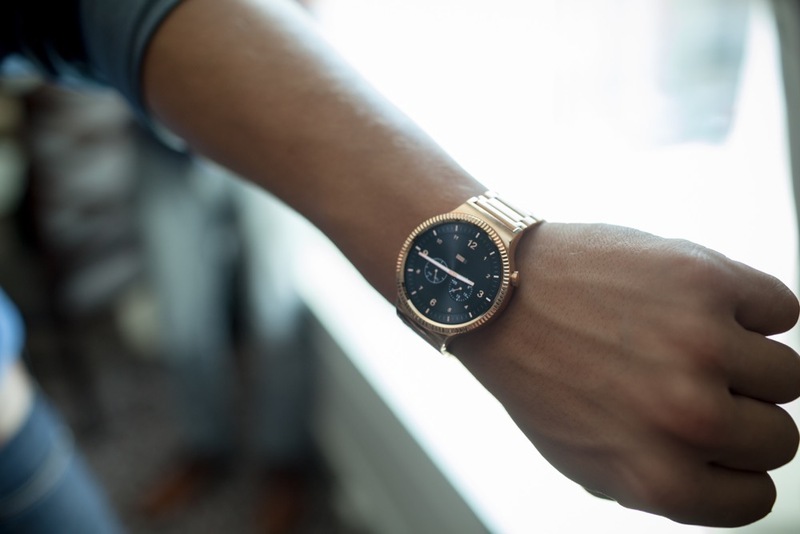 Set to launch a little later this year, models featuring genuine rose gold will be launched. For a rose gold body and alligator-pressed band, the price is $699, followed by the all rose gold Huawei Watch, priced at a whopping $799. If you compare it to Motorola’s new watch, the Moto 360 (2nd Gen) seems like a much better overall value, as you can customize the look of the watch (and size), all for a lower price. You can get gold, cognac leather bands, stainless steel bands, or whatever you want through Moto Maker in a price range of $299 to $449. 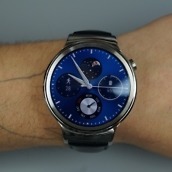 The different Huawei Watch models are widely available, purchasable on Google Store, Huawei’s dedicated US store, Best Buy, and other online retailers. 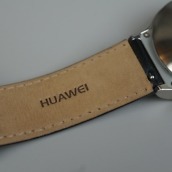 Additionally, Huawei will make the bands available as a separate purchase sometime in the future, priced from $79.99 to $169.99. The Huawei Watch is a slick device that ultimately will leave potential buyers juggling a final purchase decision over price. Is the model you want affordable? For example, the model I would truly want and enjoy is the rose gold model, but you won’t see me spending $799 for an Android Wear device. There’s just no way. But if that’s the one you want, and you have the funds at your disposal, your experience will likely be great as this is a great watch. I appreciate Huawei’s attention to detail and delivering a luxurious timepiece, but it’s just too rich for my blood. Really though, this is what Huawei expects. They know not everyone will want to spend this kind of money on a smartwatch. They specifically state that this device is not for the early adopters. It’s for those who are fashion focused, who also want smart features from a watch. When keeping that in mind, the Huawei Watch definitely delivers the goods. 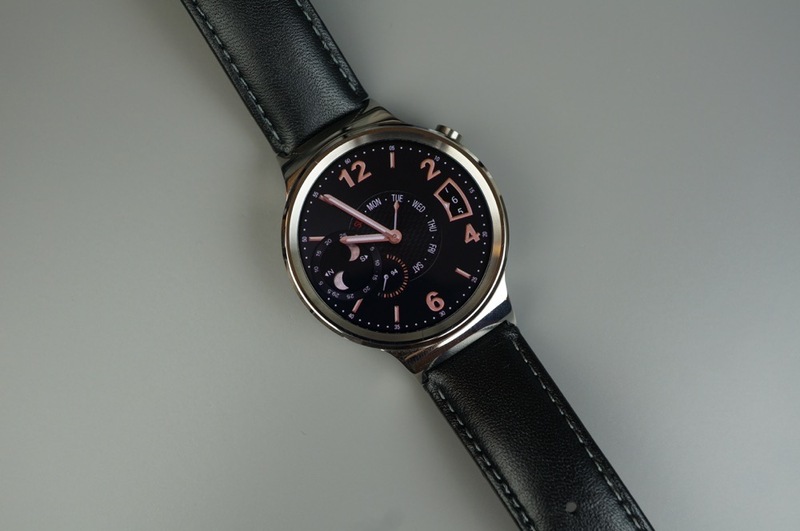 I highly recommend the Huawei Watch if the price tag for a few of the models does not scare you. Huawei intends to support this device very well, so you can’t go wrong in the update department. It all comes down to what you think looks best, and if smartwatches are even worth it to begin with. Although, you wouldn’t be here reading this if you were not at least contemplating it. Twitter Intros Moments for Android and iOS, the "Best of Twitter in an Instant"